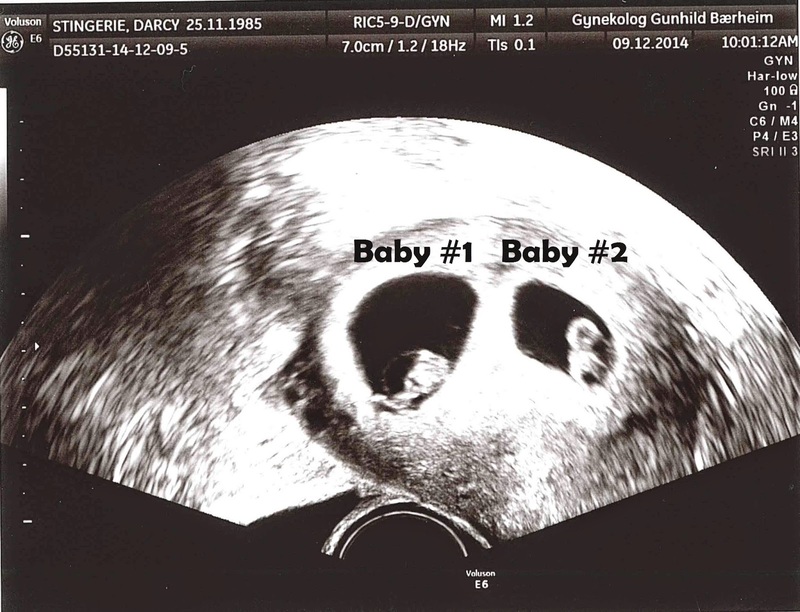 The Stingeries: Our (Doubly) Exciting News! We decided we were ready to start trying for baby #2 in October. 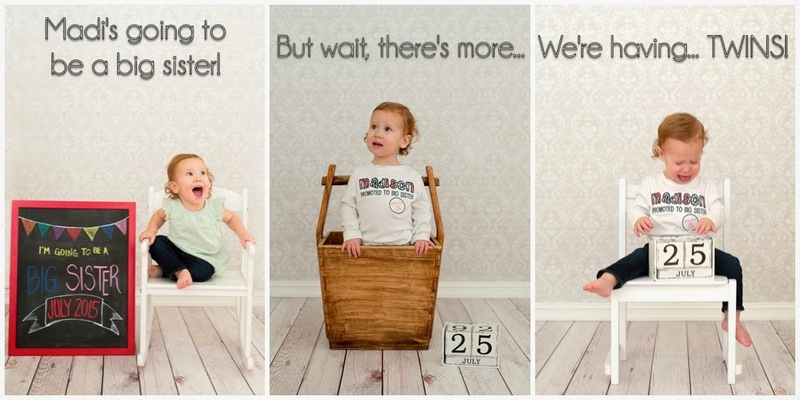 Let's just say we got lucky on the first go-round and found out pretty early, on November 14th, that we were pregnant! So exciting! I visited the GP a couple times to have my progesterone levels checked since we were concerned I would have to take it again like I did my first pregnancy. Fortunately, my levels were all within the normal range and it wasn't needed (little did I know there was another reason for that...). We went ahead and scheduled and 8-week ultrasound with the gynecologist to just check size, heartbeat, and make sure things looked good before we started telling people. The 8-week appointment was last Tuesday. Jason had a work conflict and couldn't come with me. I told him it wasn't a big deal since it was just a regular check-up and I would try and record the heartbeat on my iPhone for him to hear. Imagine the shock and surprise when, just a couple seconds after my ultrasound began, the doctor told me I was having... TWINS!! I stared at her in shock at the news. Disbelief at what she was telling me, but sure enough, there on the screen were two distinct little babies. Two babies. WOW. This is not what I was expecting to hear! Jason: So much for our man-on-man defense.